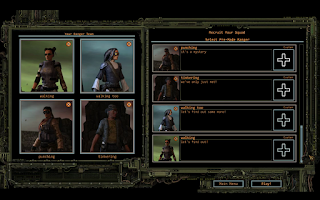 I had kept my eye on Wasteland 2 pretty much since it came out but it took some time and a a few steps before getting going with it myself. I tagged along to a livestream when Knux tried it out. Then I played and recorded some Wasteland 1. I even got as far as creating my characters, making first steps in the game, and a few more. I was planning to continue the recorded play of both Wastelands during my countryside retreat but hardware proved to be the limit. (At least WL1 ran well on the laptop, but my proven-to-work recording solution didn't.) At first I figured I'd try to fit some WL2 recording into my occasional town visits (after all, plenty of Oblivion Lost got captured that way). Then I heard that Directors Cut was coming soon, and decided to wait for that instead. 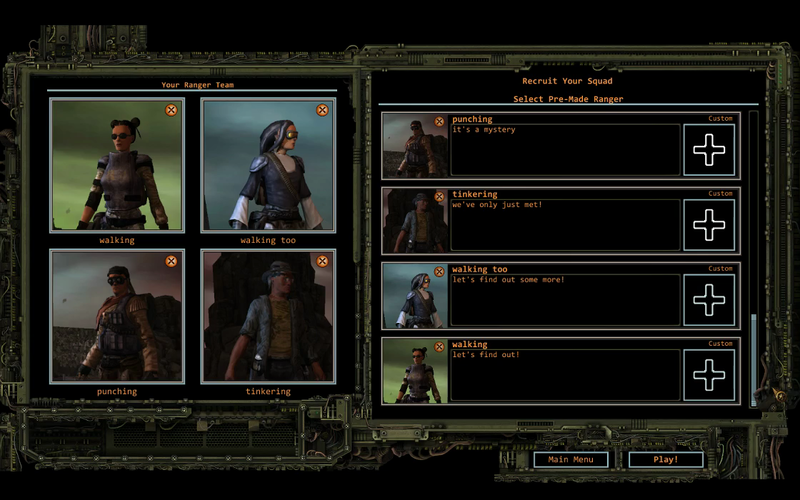 So, after a few false sstarts, this here is my first playsession of Wasteland 2, Directors Cut. I couldn't outright import my old characters, so I recreated them with new and shiny stats. I was able to crudely recycle the original character portraits, though.